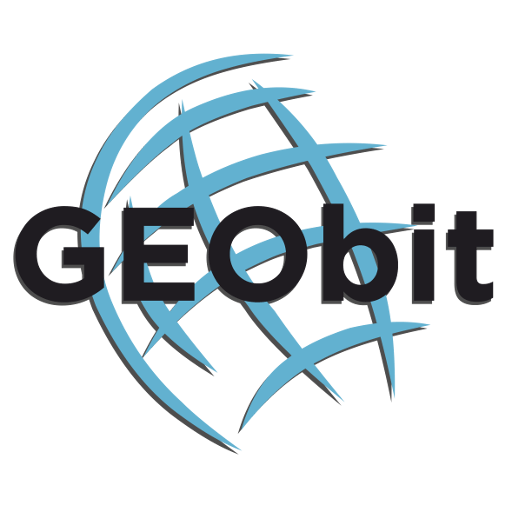 GEObit P.C. 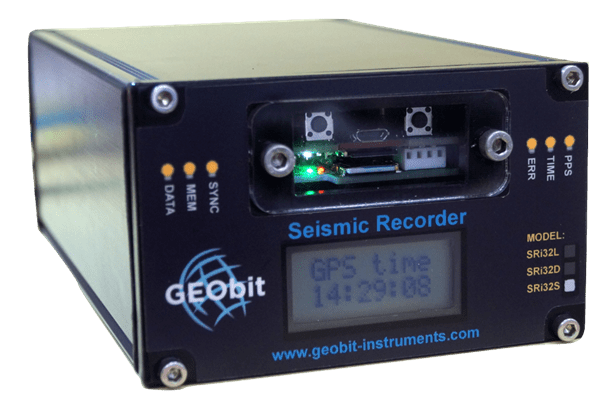 supplied ISTI USA with ten (10) C100/SRi32S sensor/datalogger units, in order to be used for induced seismicity monitoring in USA. The network and the customer are confidential, therefore only limited information can be posted here. 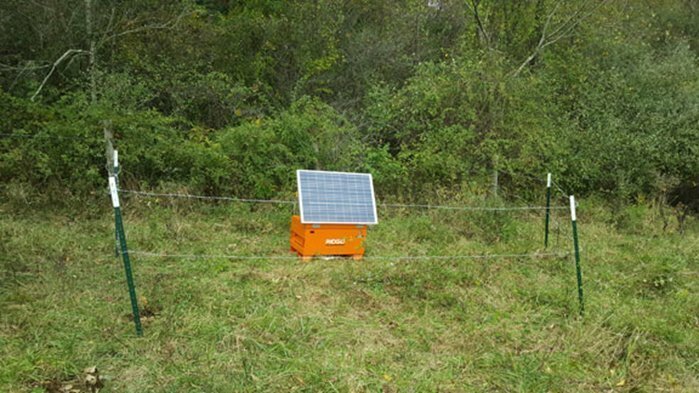 Ten seismic stations were installed in the field, and they are still in operation. The stations are used for the induced seismicity monitoring of an oil-field. The following map represents the seismic stations with blue dots. 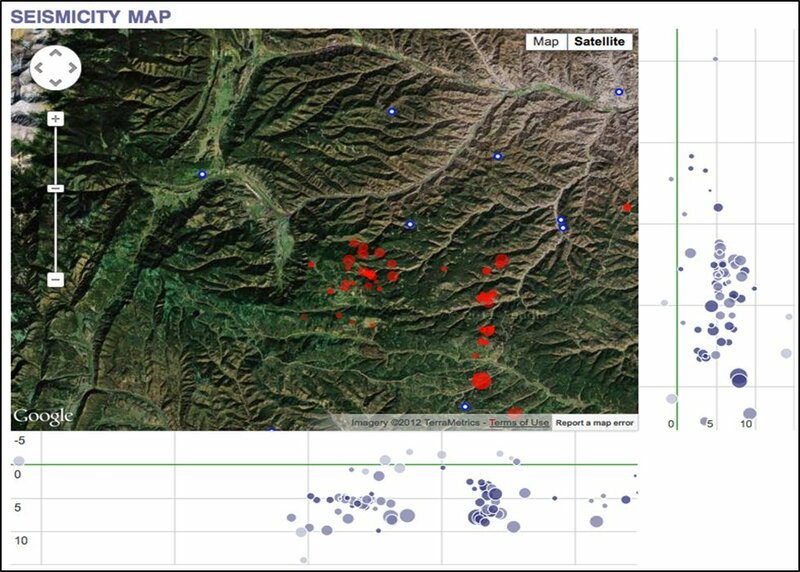 The red dots represent the real time event location and magnitude. 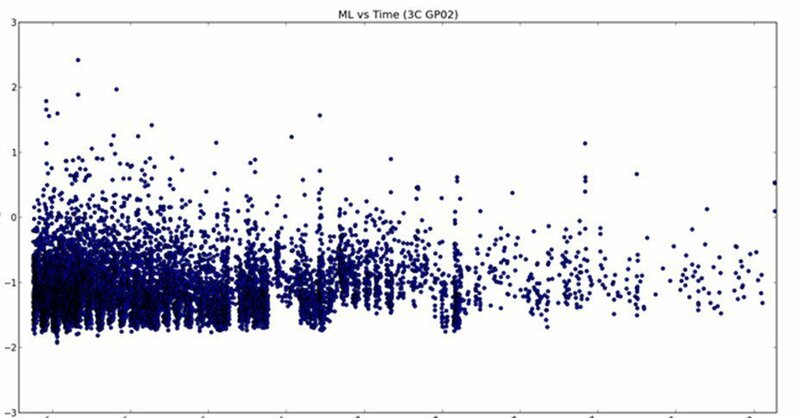 The data are transmitted in real time over GSM/3G to the ISTI acquisition center, where automatic processing is performed. The USA micro-seismic network and the real-time seismicity map. The seismic stations are getting power from a single solar panel. 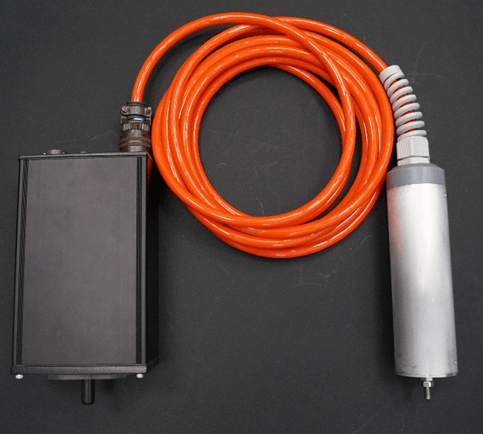 Overall power consumption is very low thus allowing the use of only one solar panel which is enough to power the seismic equipment and the GSM router. 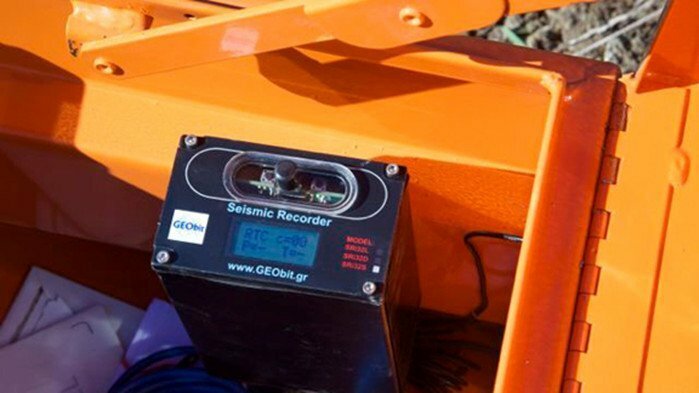 The seismic network is able to detect very small seismic events. During the operation, events ML<1.5 were detected.